I have heard so many good things about the Mario Badescu Drying Lotion but it always seemed expensive to just give it a go even if it is some wonder product as I’ve had so many failed acne treatments that I thought it might just join the pile. Then I saw this set in the Beauty Bay sale with two Mario Badescu products, the Drying Lotion and the Buffering Lotion and thought I’d give it a go. Both of these products are cruelty and paraben free. From the description on these two lotions they’re aimed at targeting different types of acne, or different stages in acne anyway. The Drying Lotion basically does what it says and uses a combination of ingredients, including clay, to sit on the skin overnight and dry out any spots. The Buffering Lotion is supposed to help large under the surface bumps, to calm them and reduce their appearance. I was intrigued to see how these two would work and if the Drying Lotion was the wonder product everyone seems to say it is as, at nearly thirty, I still haven’t found the perfect products to help my acne prone skin when it’s having a bad time. I can’t remember when I last did a skincare routine post. There are probably some things that stayed the same as I’ve got some old favourites that I’ve been using for years, but I have recently found some new products my skin loves. It’s taken me ages to get a regular routine, I’m nearly thirty and it’s only been the past couple of years I’ve had a proper daily routine. My skin can definitely be difficult at times. It’s acne prone, combination and sensitive but definitely goes on the dry side over oily when it comes to the combination part. I do like trying new products but I tend to find that it takes a while for my skin to get used to them so I’m trying to stick to a few favourites, though one of the moisturisers in the Holland and Barrett advent calendar has made such a difference it’s in my go to list now. I have to say I do love a good face mask. Recently I’ve mainly been buying sheet masks but there’s something oddly satisfying about peeling of a peeling sheet mask. One thing I’ve found is that they tend to be fun but a bit underwhelming when it comes to the long term positive effects on my skin. If I see a new one from a brand I love though I do tend to give in and try it. This Soap and Glory What a Peeling De-Clog Mask costs £4 and you get two little pods of face mask. I think it’s intended for one use each but there’s too much for me to use in one go so I’ve used the one pot twice. 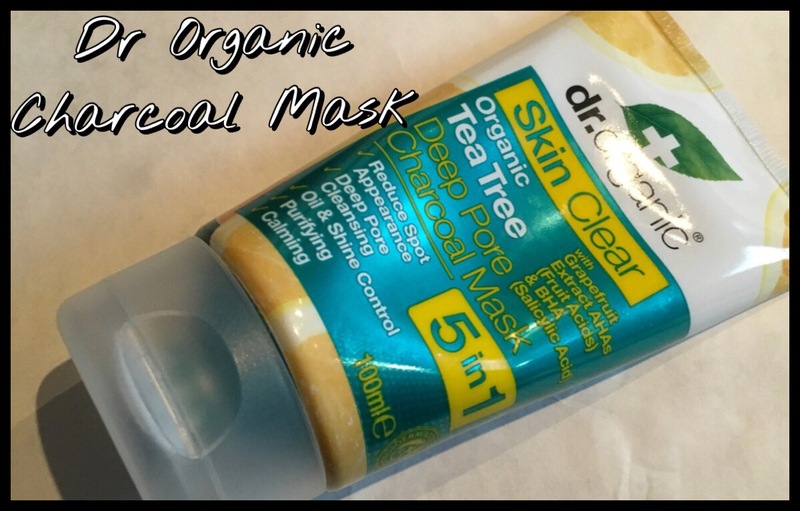 It claims to de-clog pores and the other benefits are supposed to be: lifts away impurities and dirt, removes excess oil, purifies, smoothes and brightens which sounds like a lot from one mask. Having said that I gave it a go as my skin has recently been a bit congested and I’ve been getting mini breakouts so I thought I’d give it a challenge and see how it coped. I feel like the beginning of this Marks and Spencer’s beauty advent calendar seems to be giving us a lot of the more expensive brands. I’m not sure how much a lot of the products cost, to be honest I can’t even remember half of the things that are supposed to be in here, but with Rodial being today’s little gift I feel like I’ve already got my money’s worth with the amount these products cost even as travel size or mini versions of products. Today’s advent present is a Rodial Dragon’s Blood Sculpting Gel in a 15ml tube, a good size for travel or as a sample as you do get quite a few uses out of it. The full sized pot of 50ml costs £85 and I think that means that this mini version would come up as £25.50 worth of product. Rodial is a cruelty free company and this particular product is listed as both vegan and vegetarian friendly which is always nice to find. It’s a gel that’s designed to plump, firm and sculpt your face so it defines the features more. I’m not sure how it’s supposed to do this but it’s definitely a lighter feeling product than yesterday’s moisturiser which is good for my skin as my skin definitely found that one a bit much. I do love a good sheet mask and bought a set of the Tony Moly ones a while ago from eBay for around £10. Most of them have been sat there for a few months but I finally got round to trying the Broccoli Sheet Mask which is supposed to help with vitality so brighten your skin and give it a healthy glow. I have to say this is one of the more intriguing ones, I don’t think I’ve ever used a broccoli based skin care product before. Sheet masks have become more popular in the UK with a lot of companies bringing out their own versions but I haven’t seen the Tony Moly ones around much despite other products from them being available here. However, I have seen these Brocoli ones in TK Maxx recently and it seems they cost £4.99 there going by the online price so I’d recommend eBay if you’re interested in trying them. I don’t know about you guys but I often see expensive skincare brands and wonder how much better they are, if they’re worth the extra money compared to the cheaper options. I’ve often looked at the options in TK Maxx with their offers but never gone for them as I’m always a bit wary of trying something new that would be way outside of my budget to repurchase and the odds of them appearing on there again are normally small. 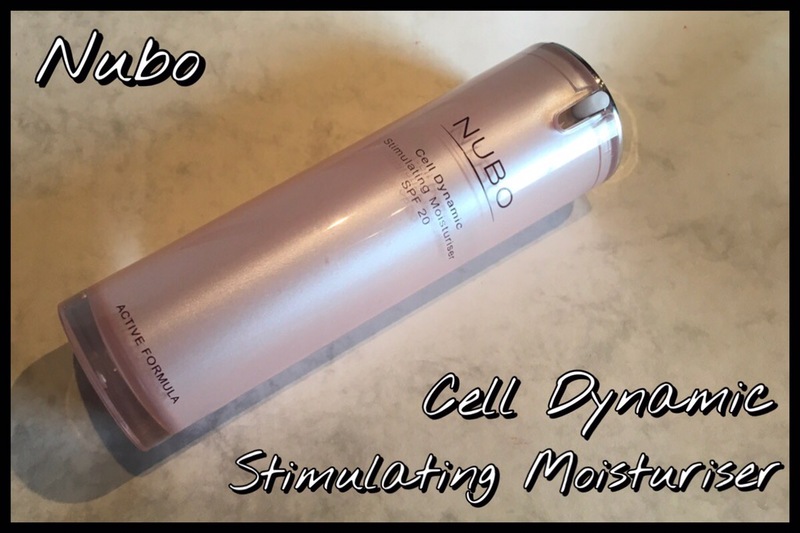 However, earlier this year I saw this Cell Dynamic Stimulating Moisturiser from Nubo at £25 reduced from £135 and decided to treat myself. I will admit to being sceptical of how big the difference would be when I first bought it and £25 is still more expensive than my general skincare products but it’s not overly expensive compared to a lot of the higher end drugstore products. The Nubo Stimulating Moisturiser has SPF 20 and contains their serum which is meant to help plump and tighten the skin and stimulates collagen production. The anti aging elements come from brown algae and vitamin E and it has O2 treatment that energises and recharges cells. It also claims to be suitable for normal and oily skin as it’s a light formula and also good for sensitive skin so almost all skin types. It is free from SLS and prabens and the company is against animal testing so it’s a cruelty free product. The serum and moisturising ingredients combined are supposed to also help with long term hydration throughout the day. With all of these claims I wasn’t sure it would live up to them but I was definitely pleasantly surprised. Rosy Cheeks is one of the newer Lush Fresh Face Masks and comes in the 75g black pots for £7.25. It’s also in the offer where you take back five empty, clean black or clear pots or their lip colour tubes and you get a free face mask which is how I get pretty much all of my Lush face masks. This pot can then be used as one of your five different your next one if you want as well. Rosy Cheeks claims to be calming and a good face mask to reduce redness which is why I decided to give this one a go. My cheeks are pretty pink and it gets even worsein the heat so something to even out any redness on my face is always a good thing. It’s a clay based mask with various rose infusions and rose parts in as well as glycerin, all of which are meant to be calming and cooling for your skin.